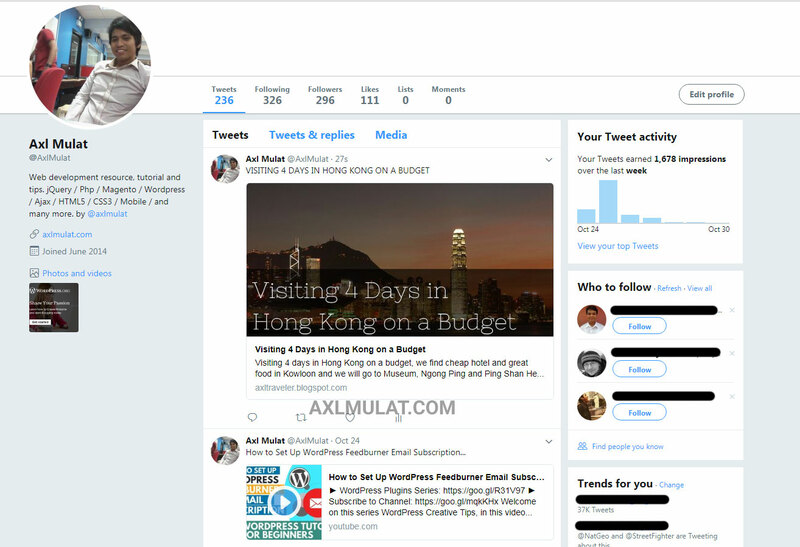 Posting a Tweet on your Blogger blog post URL in your Twitter page mostly the primary image on your post will not show in twitter feed, it’s because the blogger template on your site has no twitter card snippet, mostly templates has not set for Twitter Card is free template. 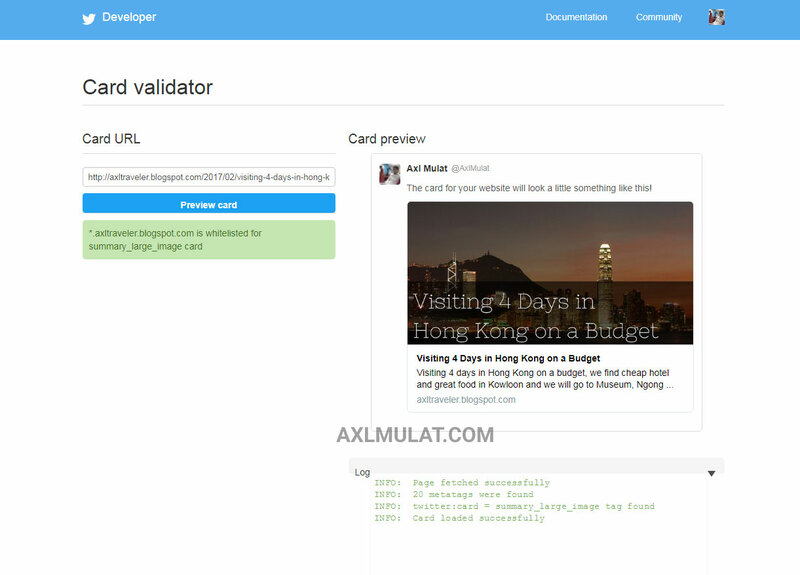 In this Blogger Tips ill will share to you How To add Twitter Cards in Blogger site in the right way, will the add Twitter Cards snippet code the Home page, Pages and Blog Posts, we will use the blogger syntax if else statement condition to add this features. but before adding this, you should already setting up the blogger robots.txt to avoid error in Twitter Card Validator. and meta name twitter creator value @username your twitter username. Another way to upload Logo, you can upload it using blog post editor and grab the link, or watch the video version on this on tutorial to get understand. and the results will look in the screenshot below. it sees your site is white listed for summary large image card, and the log are look’s ok.
and that’s it on how to add Twitter Card on your blogger blog. if you a question kindly fill the comment section below and i will response as soon as i can.